A few days ago I was a little rushed for time (I'm sure I'm the only one right? 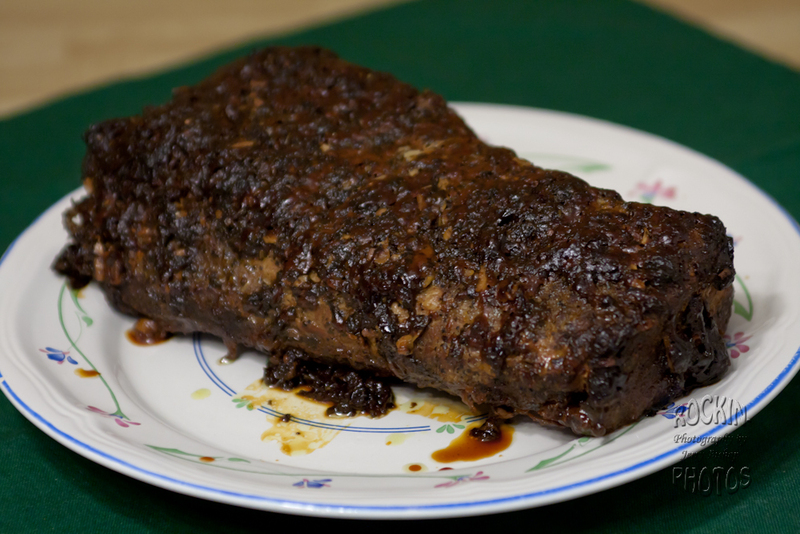 ), and I wanted to do something that was tasty, relatively easy to prepare, and (for the most part) healthy. So I whipped together the Bacon Wrapped Chicken Breast, but didn't get any photos of it. 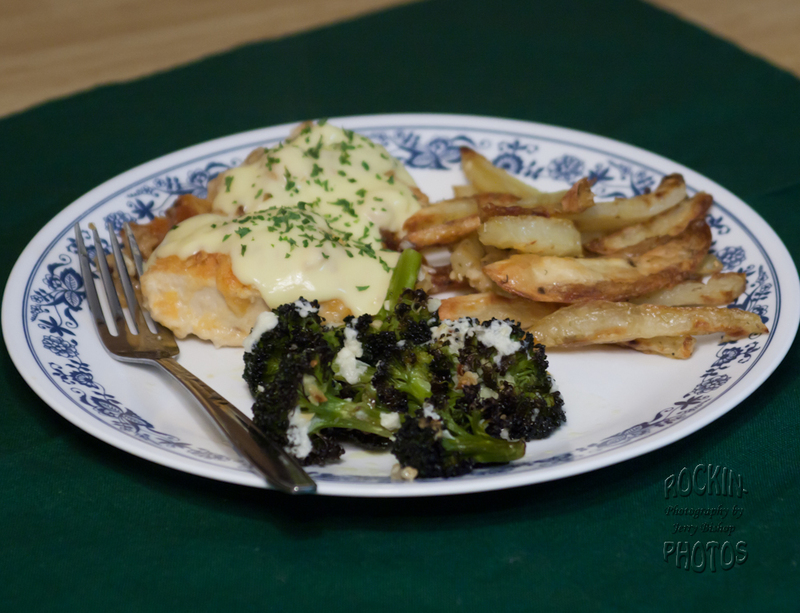 So, last night I did it again, but this time took some photos to share on the blog site. 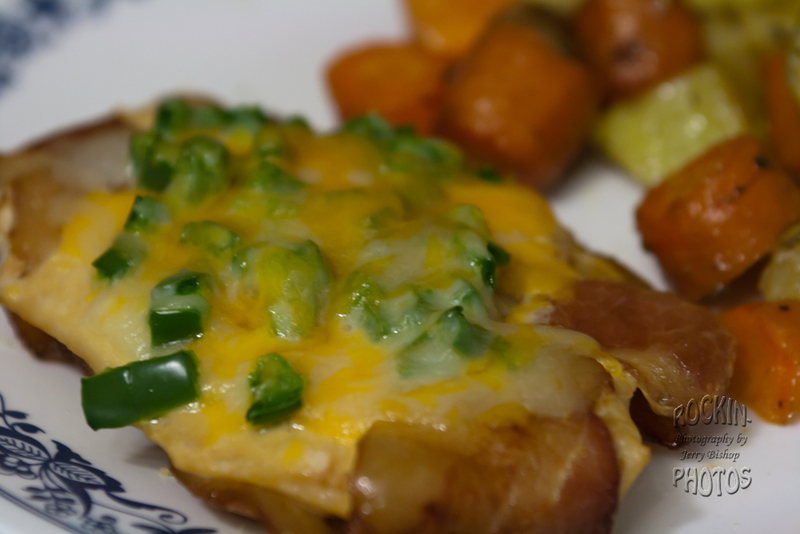 The first part of the meal was the Bacon Wrapped Chicken Breast with Diced Jalapeno Peppers and Low-fat Cheeses. Since my wife isn't a pepper person, I only used one jalapeno, and left her's "Virgin". Also, I de-seeded the jalapeno before using it. If you like more heat, you can leave the seeds. Without the seeds, it's relatively mild, but you still get that yummy jalapeno flavor. Another note, I normally use the thin sliced bacon, but accidentally bought the Thick sliced last time I was at the store. The thinner bacon cooks faster, and crisps up better for this recipe. Cut the chicken breasts in half lengthwise, and place them cut side down on a foil lined baking sheet. You can spray the foil with cooking spray first if you wish, but the bacon will stop your breasts from sticking. Next, wrap two pieces of bacon around each breast, lengthwise, and tuck the ends under the breast. Because I was using the Thick bacon instead of the regular bacon, I flipped the oven to Broil at 400 degrees for 5 minutes the get the bacon started crisping. Bake at 350 F for 15 minutes, then flip each breast over, add the chopped peppers to the tops of each breast and return to oven for and additional 10 minutes. 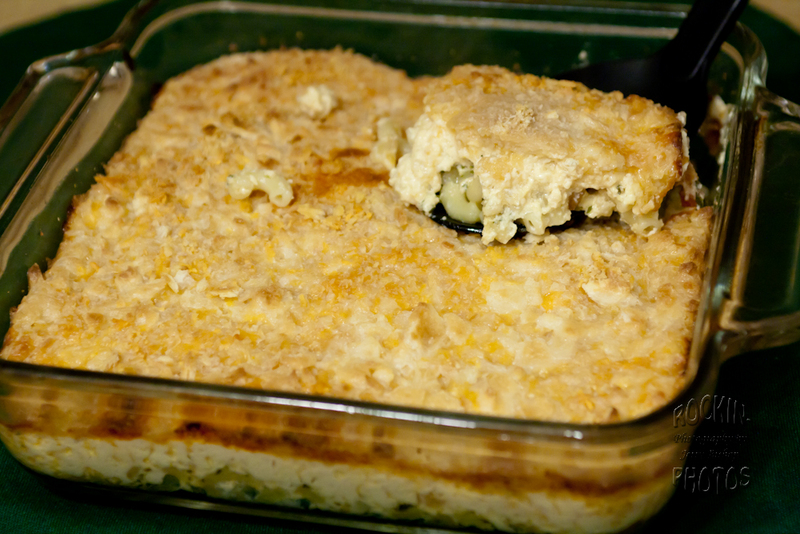 While the chicken is in the oven, combine the two types of cheeses. Remove the chicken again, and top each with the cheese mixture. Return to the oven for about 3 minutes or until cheese is melted. Voila! The Chicken is ready to enjoy! Next is the side dish, which I actually cooked at the same time as the chicken above, but placed it in the oven 20 minutes BEFORE I put in the chicken. 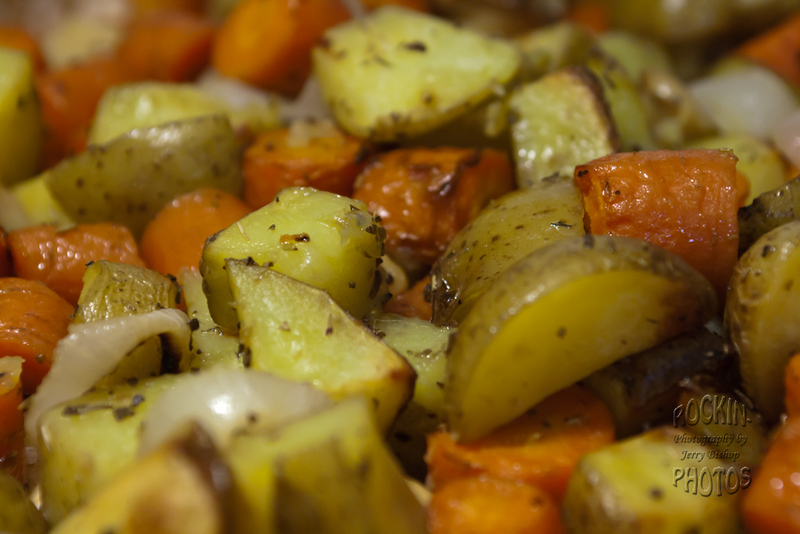 This dish is just Oven Roasted Vegetables with Herbs. The amounts of each vegetable can be adjusted to your personal taste. Wash & dry the Potatoes & Carrots, and cut into 1"-2" pieces. 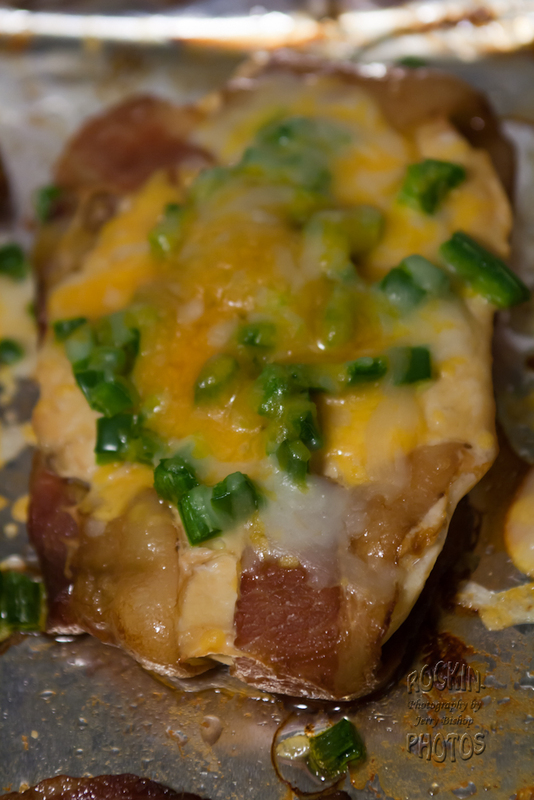 Then throw them into a 9"x13" oven safe casserole dish. Peel and cut Onion into 1"-2" pieces, and add to the casserole dish. Peel Garlic cloves and toss into casserole dish. Sprinkle Olive Oil over veggies and stir to coat. Sprinkle Oregano and Rosemary over veggies and stir to mix. 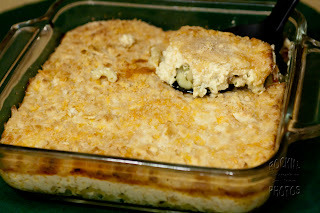 Pop casserole dish into the oven for 45-60 minutes depending on how tender you want them. Take them out and enjoy! As with any recipe, feel free to experiment with the ingredients. If you aren't a fan of rosemary, but love the taste of sage, swap it out. Love potatoes, but not carrots? Reduce or remove the carrots from the ingredients, and use extra potatoes. To me, cooking is more than just following a recipe, that's why until recently, I rarely wrote any of my recipes down. I guess I cook with my heart, and not my brain. Good thing. I hope this recipe sounds good to you, and that you make it, or make it your own. Be sure to come back soon, and check out my latest experiment, and tell your food lovin' friends to stop by too! I'm always glad to have the company. Three Yummy Recipes for Today's Menu Selection! 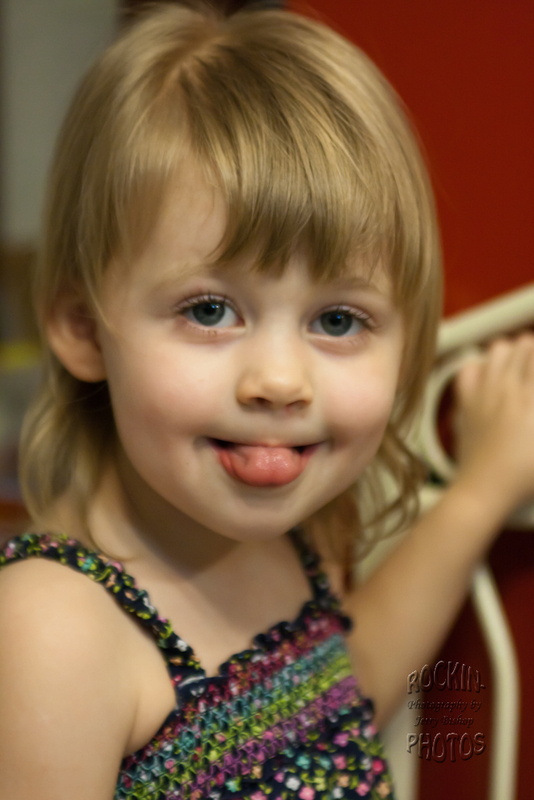 My wife and I had the pleasure of having our youngest Granddaughter spend last night and today with us. She's a pretty active 2 year old, and for this old man, I'm glad I had already planned to use the slow cooker for tonight's meal. A big BRAVO to all the moms out there who do so much. Your's is truly an underrated job, taking care of your family! On today's menu were three delicious food items. 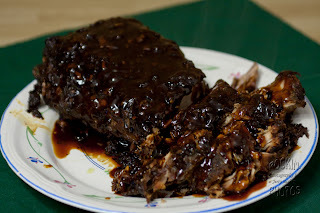 The main course was a Honey Parmesan Pork Roast, slow cooked for seven hours in the Crock Pot. The side dish was a decidedly Decadent Baked Macaroni & Cheese. 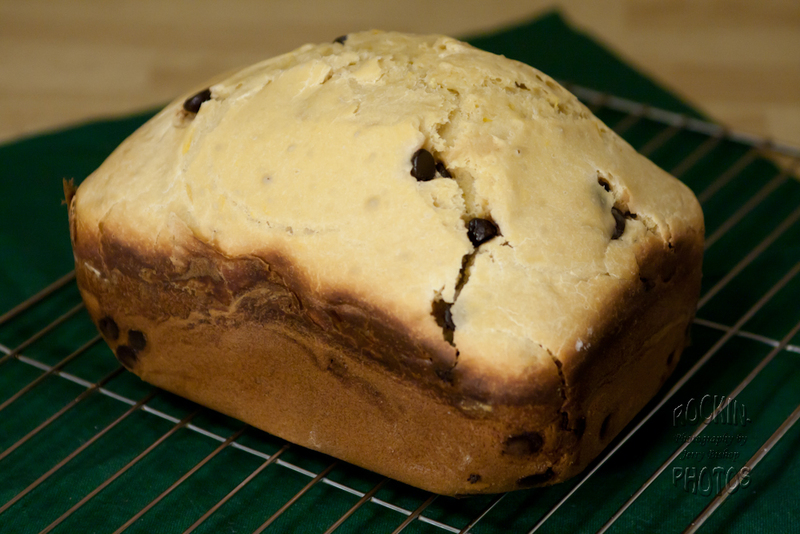 And desert was an Orange, Chocolate Chip Loaf Cake done in the bread maker. So let's get the recipes rolling! The night before, coat the pork roast liberally with the Cavendars. About seven & a half hours before you want to serve, spray your crock pot with a non stick spray to help with cleanup. Put in the pork roast. Mix remaining ingredients together in a bowl (This could also have been done the night before), and pour them gently on top of your roast. Cover, set on LOW, and let it cook for seven hours. Next, play with your grand-kids, or go about your busy day until the pork has been cooking for seven hours. If there is a layer of grease on top of the drippings, you can skim that off. Then stir the drippings, and if needed, add a little cornstarch or flour to thicken it up a bit. Spoon drippings over the roast, and it's ready to serve! Cook macaroni about 75% of the package directions (It will continue cooking in the oven. ), and drain. While that's boiling, cook bacon until crispy, and set aside. If you're using the onion, cook it in the bacon grease until it's clear, and set aside with the bacon. Combine the next 4 ingredients (and salt & pepper) in a sauce pan, and heat on medium low, stirring occasionally until fully blended. Add bacon & onion. Pour macaroni into an 8x8 Oven Safe dish. Pour cheese sauce over macaroni. Stir to coat. And place it in the oven. While that's in the oven, crush the Club Crackers & combine with the remaining 4 ounces of Shredded Cheddar Cheese. 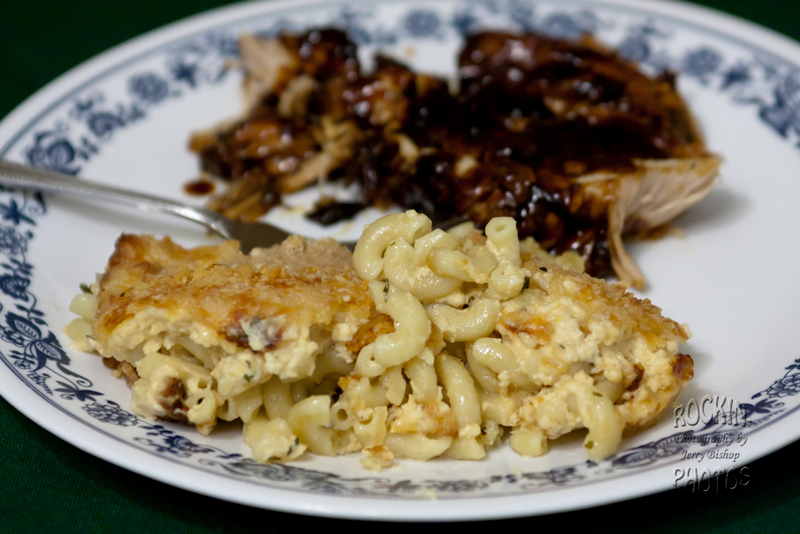 Once the macaroni has been baking for 20 minutes, remove it from the oven and pour the cracker & cheese mixture evenly over the top, and return to the oven for about 5 minutes, or until topping is golden brown. Did I say that this was a DIET DISH? OK, just making sure. I wouldn't want to lie to you and tell you that it was. To be honest with you, this didn't come out as Orangey (is that a word?) as I hoped for. So I'll tell you what I DID, but I'll also make some suggestions along the way. What I DIDN'T use, but should have, is some Orange Extract or a Tablespoon or two of Grated Orange Zest. That would have given it more orange flavor. Add ingredients in the order listed (or as suggested by YOUR bread machine instructions), EXCEPT for the Chocolate Chips, into your bread machine. Set your machine for a 1 1/2 lb regular loaf with LIGHT crust. When your machine signals you to add fruit, nuts or other ingredients, ADD the Chocolate Chips. That's it. It cooks in about 3 hours. Be sure to time this to be ready before the rest of your meal is done, so it will have ample time to cool off before you cut into it. That's all for this addition, so until next time.... Happy Baking! Well, although I DID make some bread today, it was the same Whole Wheat Bread that I made a few days ago, so I didn't take photos of it. But it came out just as wonderful as it did last time. I said then that it would be a staple around here, and I didn't lie. But what I DID do different, is make supper based on a couple of GREAT recipes I found on other people's blogs. I was a little rushed for time due to evening services at church, so I only have one photo. That being from the finished product on my plate just before I devoured it. :) But I do have links to the other blogs where the recipes came from, and you can find a lot of photos, and the recipes there. 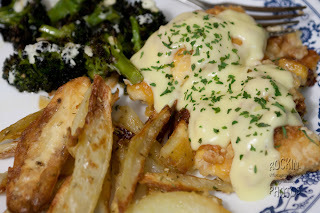 The main course was Crispy Cheddar Chicken from Jamie's blog site "Jamie Cooks It Up!". This is a wonderful recipe, and very easy to make. It didn't require as much cheese or Ritz as was called for, and I think next time I make it, I'll combine the cheese & Ritz before rolling the chicken in it. Everyone here loved it, and it was a real favorite of my granddaughter and my wife. The second dish I made tonight was The Best Broccoli of Your Life recipe posted by Adam Roberts on the Amateur Gourmet web site. And like the site states, it's the best broccoli of your life! My daughter, who isn't a fan of any vegetables "loved it!". My three year old granddaughter even liked it! 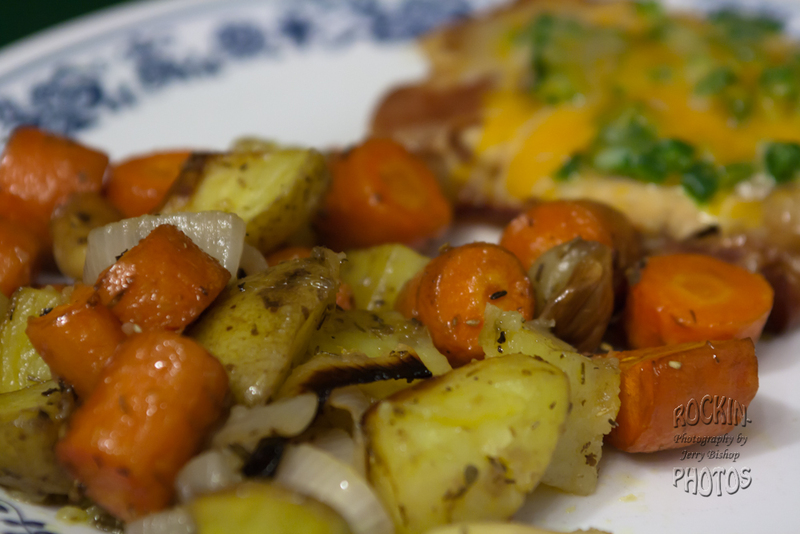 It was truly a delicious dish, not too difficult to prepare, and one I WILL be making again! I started with four medium to small russet potatoes, washed and peeled them, then cut them up into "french fry" size strips. I then piled these onto a microwave safe plate, and covered them with a plastic splatter guard. I microwaved them for 8 minutes on HIGH to pre-cook them before I finished them in the oven. I let them cool down, and put them into a bowl, where I added about 2 Tbl. of evoo, and about 2 tsp. dried rosemary. Mix to coat well, and spread out onto a foil lined baking sheet. Pre-cooking them in the microwave allowed me to cook them at the same time as I cooked the Crispy Cheddar Chicken above. I also cooked the Broccoli the same temperature as the chicken, but removed them after about 25 minutes. Share the Love by signing up for and sharing my blog with your friends! I didn't make any new bread today, but did some reading, and felt it would be good for me, and hopefully for any other beginning bakers if I added this info to my blog. The following info comes from "Healthy Bread Recipes & Menu Planner" © 1998 Salton/Maxim Housewares, Inc.
prepared to create your own delicious recipes. grain sought by many bakers. flour are wheat flours with the bran and germ removed and B vitamins added. wheat and bread flour to create a light textured, nutritious bread. few Tbls. of gluten) to make sure your dough will rise. given here were made with large sized eggs. 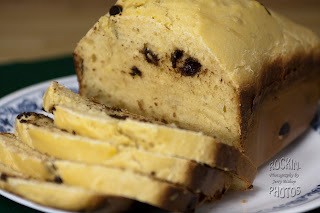 calories - about 100 calories per loaf for every tablespoon of added fat. 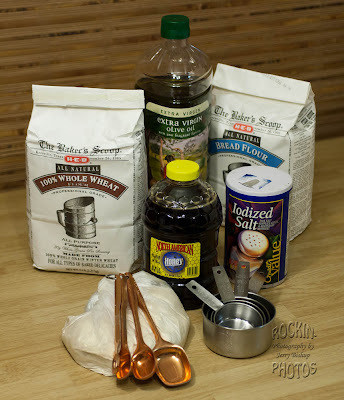 Yeast: All the recipes here use dry active yeast the small packages contain 1 Tbl. and keep yeast refrigerated or in the freezer. rises more quickly without salt, so add a bit less yeast as you reduce the salt. 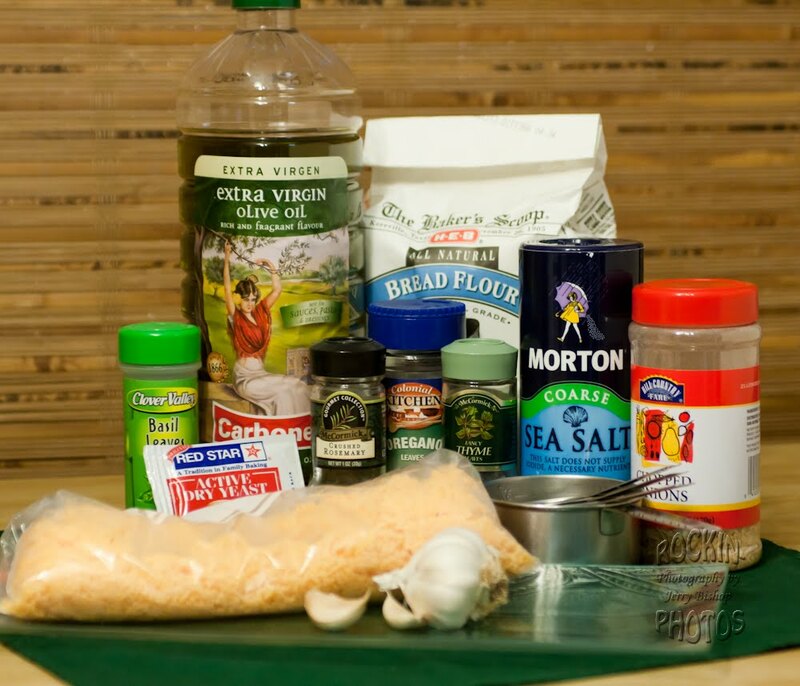 be cut with a lighter flour when several cups are being used at a time. baking. The flavor has been described as a combination of rosemary and green tea. though this is still being investigated. with millet. It is considered to be the most digestible grain around. Oat: Rolled oats and oat flour are welcome additions to almost any bread recipe. Their delicately light texture and flavor embody the pleasures of home-baked goodness. matched by no other grain, and it packs a protein punch. resounding success. Use it in bread recipes in place of wheat for a slightly nutty flavor. 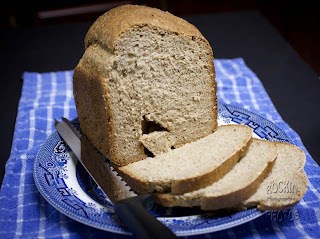 Wheat: Wheat and whole wheat flour are the basis for most bread recipes. a high and sturdy loaf. Additional info on bread making, lots of recipes, and a great chart on the amounts of all the basic ingredients needed in making bread in a bread machine can be found on THIS site. That will wrap up today's blog posting. Until next time, Happy Baking! And be sure to tell all your friends about my blog! This failure....I mean LESSON, was a recipe I created from my head, after looking at another "Cheesy Bread" recipe. 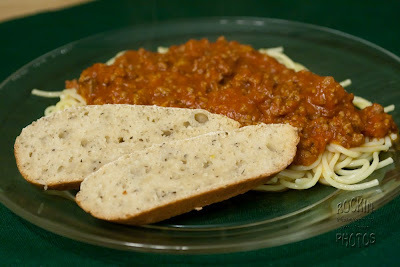 I knew what I wanted, a real garlicky bread that I could make to go with my spaghetti. I wanted to incorporate a lot of Italian herbs, and my wife wanted the cheese. So this is the recipe I came up with. 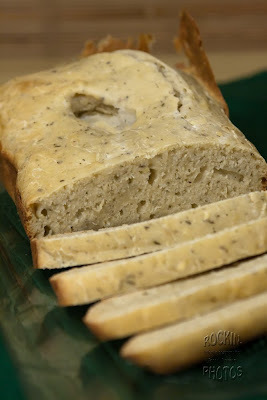 I added the dried herbs, salt and onion to the warm water and evoo in the bread maker pan. I then added the chopped garlic and cheese. On top of that I added the flour, followed by the yeast. The bread machine was set for a 1-1/2 lb. 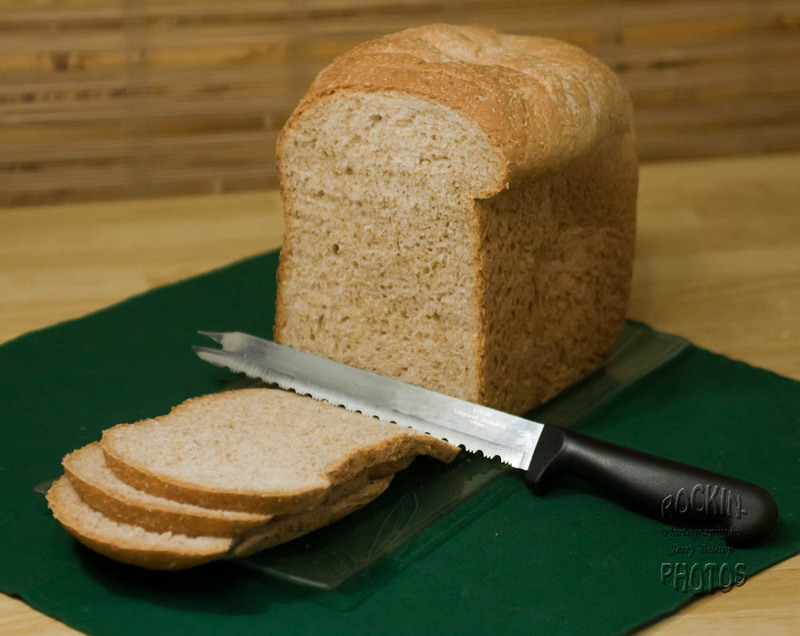 regular bread with light crust. And the machine was started. It said that I would be enjoying my wonderful garlic bread in a little over 3 hours. So I went on about my business. In a short time, I was smelling the aroma of the fragrant herbs, garlic, and fresh bread wafting through the air. It was bliss! It was about 2 hours into the process, and I peered into the bread maker through the small viewing window. It was . . . What was it? It looked like it hadn't risen at all! O.M.G. I didn't use enough yeast! The last two breads I made I put 2 tsp. in each! Why did I only put in 1/4 tsp.? Oh well, too late to add it now. Hopefully it will still TASTE alright! But it sure doesn't LOOK alright! Lesson noted, and hopefully learned. It DID have a wonderful flavor. Actually kind of overpowered my spaghetti sauce! :) Since it didn't rise like it should have, it was slightly under-cooked in the center. But NEXT time it will be perfect! Or at least different! Until next time, Happy Baking! And be sure to tell all your friends about my blog! I used the recipe for the 2 lb loaf, exchanging the Tablespoon of Vegetable oil for a Tablespoon of Extra Virgin Olive Oil. Mostly because my oil choices on hand were evoo, peanut, sunflower and sesame. I put everything into the bread maker in the order it's listed above. Look at the directions for your bread maker, as they may suggest adding ingredients in a different order than mine does. I used the bread maker's Whole Wheat setting for a 2 lb loaf, and used the "Light" crust setting per mom's suggestion. This came out great! It rose higher than I expected, you can almost cut one slice in half and make two slices out of it. The texture was about the same as a good quality store bought whole wheat loaf, but way cheaper. This one will be one I make on a regular basis to replace what we would usually buy at the grocery store. I really like the “Everything” Bagels, and want to either find or create a bread recipe that has the same flavor combination. My wife is wanting some type of Cheesy Bread. Guess those will be coming up soon. If you know of a good recipe for these or any other breads you think I might want to try, please let me know. As you can see from the photo of the ingredients, I like shopping at HEB. As far as I know, they are only located in Texas. Too bad for the rest of the world. They have great selection and prices. The one I shop at has a bulk food section where you can by as much or as little of all sorts of items, including the gluten I used in this recipe, and the rolled oats I used in yesterday's recipe. My mother was recently downsizing her belongings, and gave me her Kenmore Bread Machine. 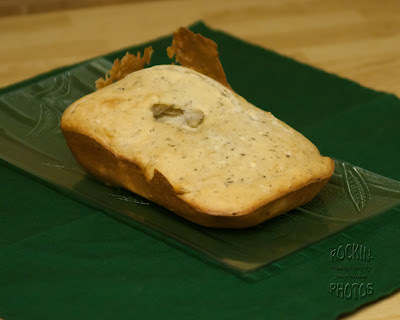 Today, I'm posting about my first try at using the bread machine. I had a couple of bananas which were turning a little too brown for my wife to eat, so I put them in the freezer to use in making smoothies. But, since I now had a bread machine, I decided to try making some Banana Bread. As you'll see, I'm not really one to "follow the recipe" when cooking. I almost always add, remove or change something. I like to experiment and make each recipe a little more personal. My apologies for not taking a photo of all the ingredients I used to make this first bread, and also for not taking photos of the finished product until my wife & I had already eaten several slices. Being a photographer, you'd think I would have been more on top of that. Hopefully I'll get a better memory in the future. I put all wet ingredients in the cooking pan except the water. Then added all dry ingredients with the yeast being added last. Then added the warm water on top of the yeast. I let this stand for 5 minutes before turning on the bread maker. I used the standard setting for fruit and nut breads with the crust brownness set to medium. Total precessing/cooking time was 3hrs 35mins. The bread came out spongy, but a bit dry to my taste. The crust also seemed a bit too crusty to me. It also didn't have a very strong banana flavor. I talked to my mom about this, and she said she always set her crust brownness to light, because to her, even the medium setting always made it too firm. So, I'll be taking mom's advice, and use the "light" crust setting from now on. And perhaps, using another banana would give it more banana flavor, but then again, I'm not sure what that would do to the consistency of the finished loaf. Who is Jerry & Why is He Blogging About Food? Hello, my name's Jerry and I'd like to welcome you to my blog. Right now, since I just got a bread machine, it's going to be mostly about my experiences playing with the bread machine. But, since I DO like food of all kinds, and I enjoy cooking, it will probably expand to include other cooking experiences. Let me start by giving you a little background information about me, and how I came to love cooking. I was born in South Louisiana, an area known for good food. My mother and all 4 of her sisters were raised cooking, and their father was a cook on a boat for a long time. Their mother was the oldest of 14 children, and after finishing the third grade, she joined her father in the swamps hunting, trapping and fishing for the families food. She was a wonderful cook herself, and I can't remember eating anything she made that I didn't like, even AFTER finding out what it was. On top of that, my stepfather owned a restruant in Morgan City for many years (before I knew him), and loved food and cooking. He carried that love through the rest of his life, and it was one of the only things we bonded on when I was growing up. Well, enough of the back story. Let's talk about now!